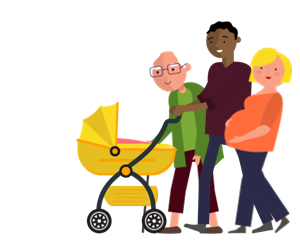 Find out more about South West London Health and Care Partnership including details of its population size, constituent organisations and priorities. Providing better support in the community for people with long-term conditions. Prevention and early intervention – keeping people well and supporting them sooner will be central to new ways of delivering care. Treating people out of hospitals and closer to home – more patients to be treated for their conditions ‘on the spot’ without requiring an overnight hospital stay. More care in the community for people in crisis and an improved 111 service, as well as access to GPs from 8am to 8pm, seven days a week. professionals will work with patients to keep them well. South West London STP will continue to need all of the hospitals it currently has, but does not believe that every hospital has to provide every service. At this early stage, the STP is considering how services should be organised in each area, but has not yet reached the stage of making any recommendations on this. The immediate focus is on getting primary care and services in the community right. The following organisations are part of South West London STP. For individual contact details for these organisations, please see the NHS website. Clinical Commissioning Groups (CCG): Croydon, Kingston, Merton, Richmond, Sutton and WandsworthCentral London Community Healthcare. Local Authorities: Croydon, Kingston, Merton, Richmond, Sutton and Wandsworth. Acute and Community Providers: Central London Community Healthcare; Croydon Health Services NHS Trust; Epsom and St Helier University Hospitals NHS Trust; Hounslow and Richmond Community Healthcare; Kingston Hospital NHS Foundation Trust; The Royal Marsden Foundation Trust; St George’s NHS Foundation Trust and Your Healthcare. Mental Health Providers: South West London and St George’s Mental Health NHS Trust; South London and the Maudsley NHS Foundation Trust. GP Federations in each of the six boroughs.